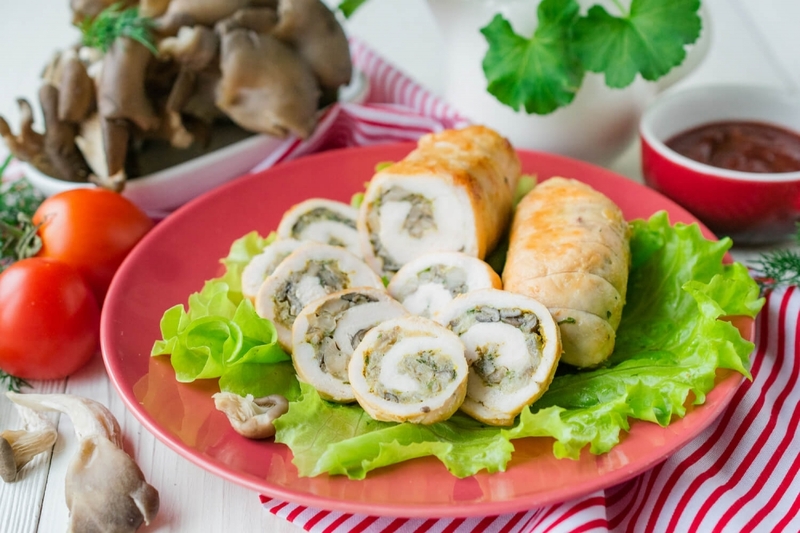 Incredibly tasty, juicy and fragrant chicken rolls with the fried mushrooms and hard cheese stuffing will leave nobody indifferent. They can be served hot with side dishes of rice, potato or light vegetable salad. The cooled rolls cut on portion pieces will become great snack for a holiday table. Also they can be used for preparation of various sandwiches and a canape. For this recipe as a stuffing I used oyster mushrooms. 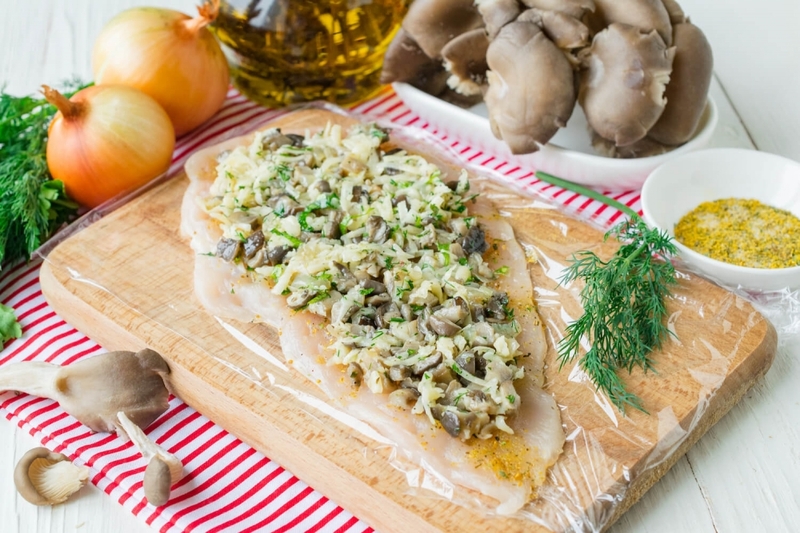 Also champignons, the fresh or frozen forest mushrooms will be suitable. 1. At first let’s prepare a stuffing for rolls. Peel and cut with a small cube onion. 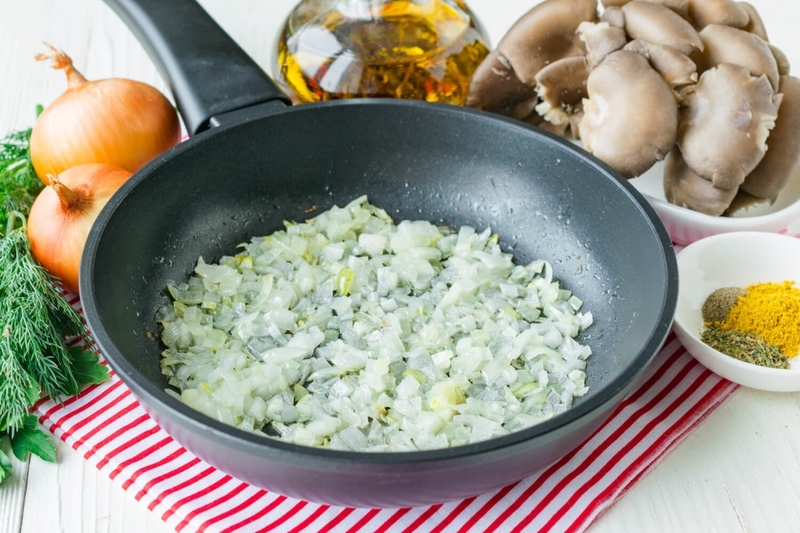 Lay out vegetables on a frying pan with the warmed vegetable oil. Stirring slowly, fry onions on low fire to a light golden shade. 2. Wash oyster mushrooms and cut off the thick basis. Cut mushrooms into middle size cubes. 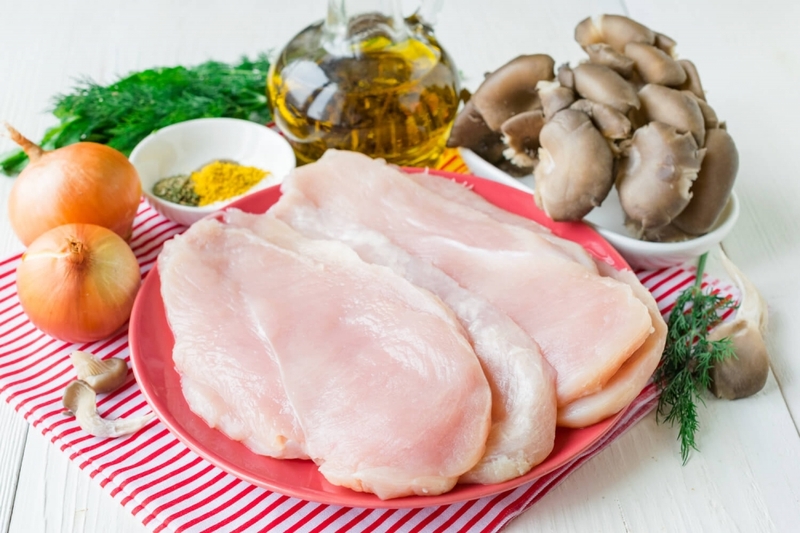 When onions are fried and become soft, add to it the cut oyster mushrooms. 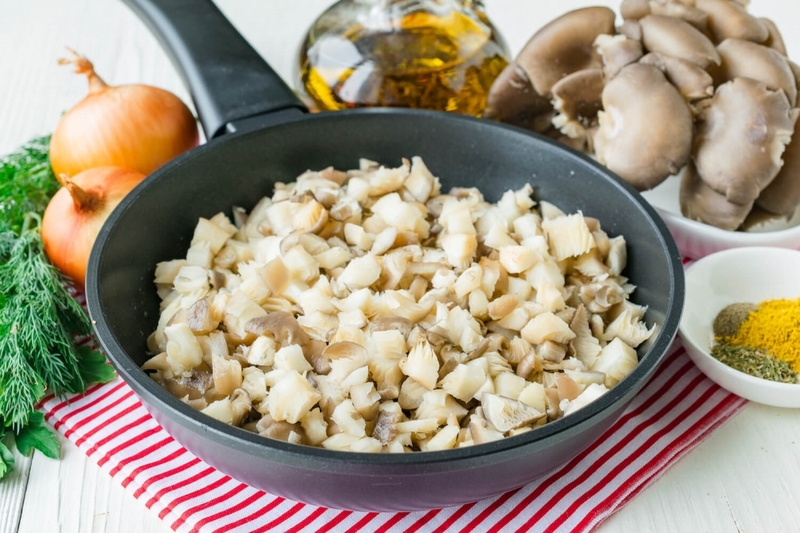 Stirring slowly, fry mushrooms with onions until all liquid is evaporated from a frying pan. 3. Cool down the fried oyster mushrooms with onions to room temperature. Then add grated hard cheese to a stuffing. 4. For aroma add small chopped greenery of dill and parsley. 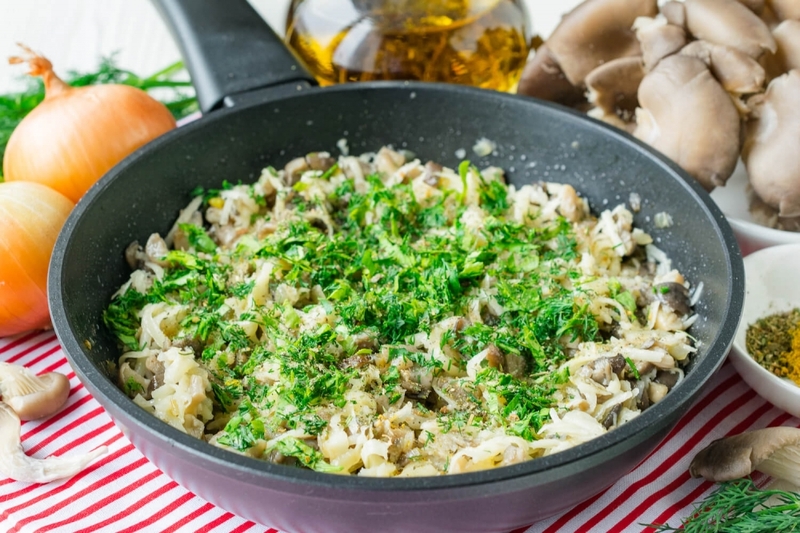 Season mushroom stuffing with spices and add salt to taste. Mix stuffing to homogeneous consistence. 5. Now let’s prepare chicken. Wash and dry with paper tissues from excess moisture chicken fillet. Clean the meat from fat, foams and cut fillet along on thin pieces. 6. 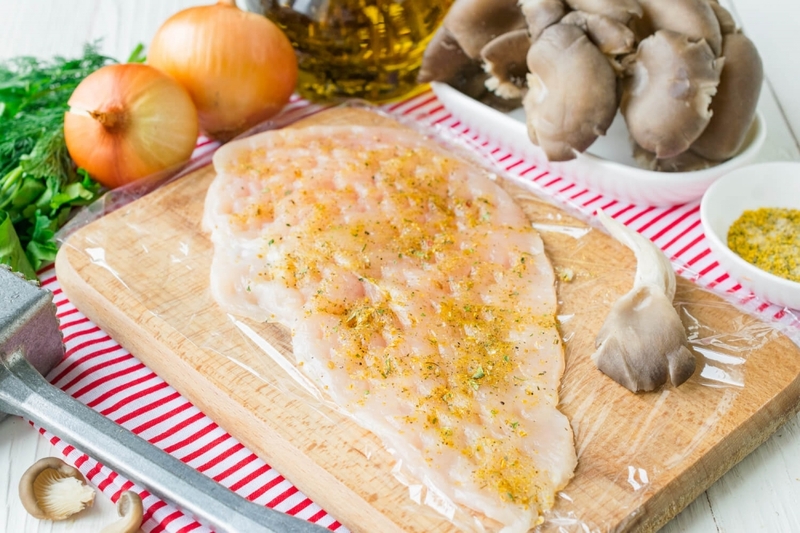 Salt, season with spices and beat off with a meat pounder each piece of chicken fillet. 7. 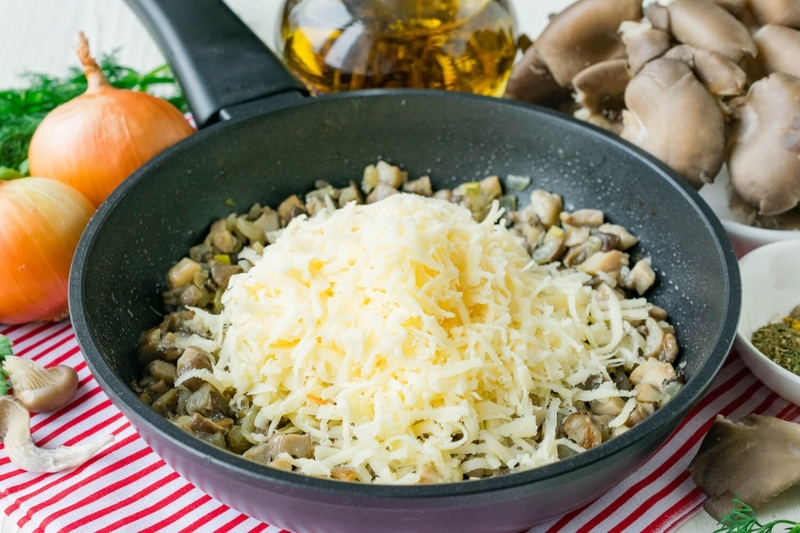 Distribute a mushroom stuffing with hard cheese over chicken fillet, leaving one edge free. 8. Accurately curtail our preparations, forming hard rolls with a stuffing inside. Let's fix them by means of thick thread. 9. 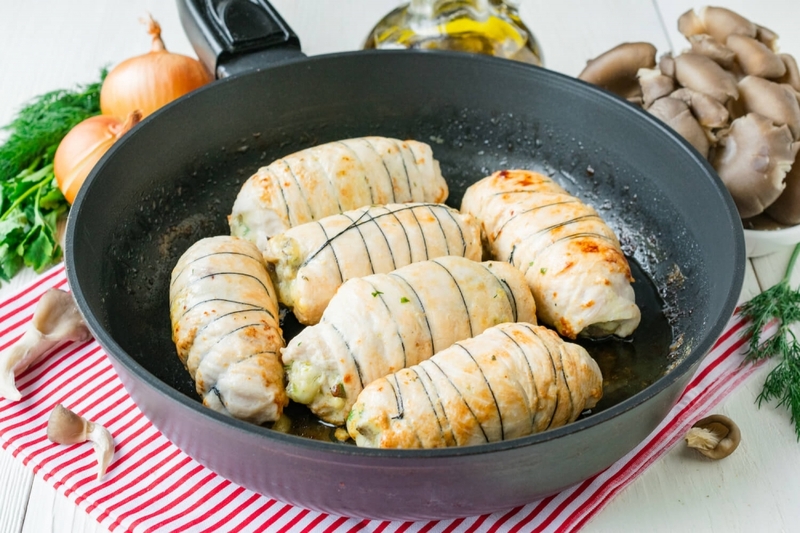 Lay out chicken rolls on the warmed frying pan with sunflower oil. Fry products on middle fire to a golden crust from all sides. 10. Then shift chicken rolls in a heat resisting ware for roasting. On a bottom of a ware pour a little water. 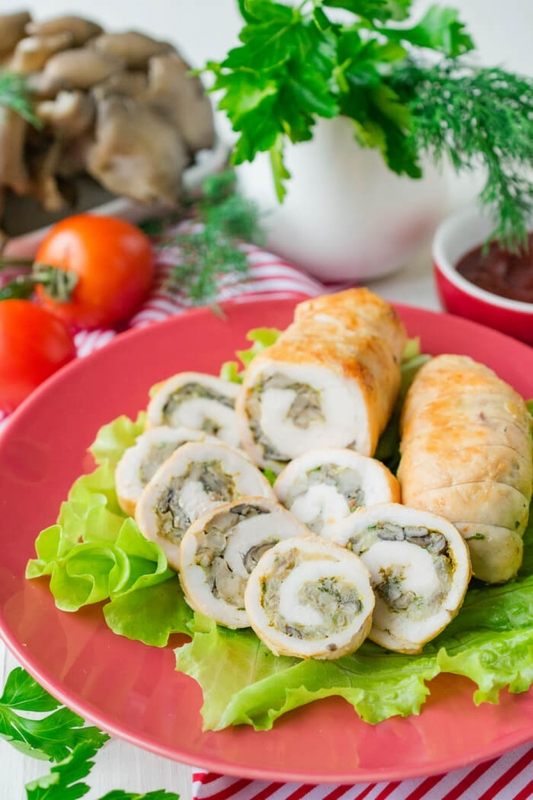 Send chicken rolls to the oven warmed up to 200 degrees. Bake them for 20 minutes so that they are completely prepared. 11. 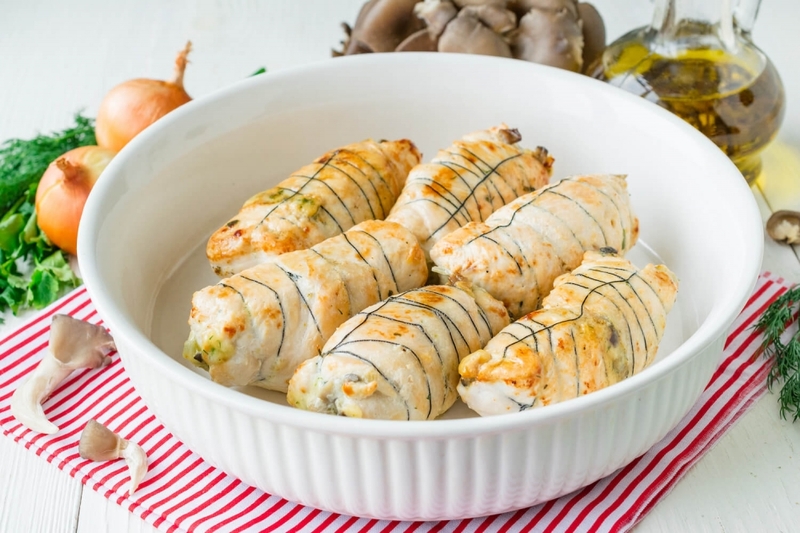 Cool a little down the ready-made chicken rolls with oyster mushrooms and cheese. Accurately removed thread and cut rolls on portion pieces.